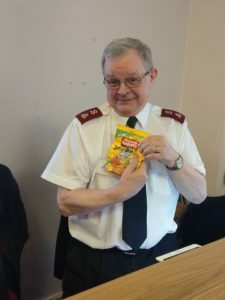 A group from the South London Fellowship Band supported the Salvation Army South London Division’s Spring Tea Party and Family Gathering held at Croydon Citadel. As well as the SLFB (led on this occasion by Adrian Horwood), the Bromley Community Choir (led by Major John Smith(R) & Anthony Harris) provided music before, during and after each session in what was a very relaxed atmosphere. 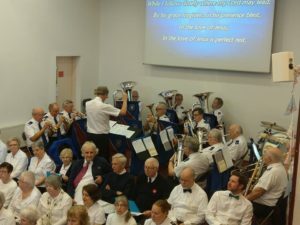 The day was attended by around 200 people drawn from the Salvation Army Corps’ in South London. Other items included a fun item by the DHQ team and a vocal solo ‘Everywhere’ by Major Susan Woodgate accompanied by her husband at the piano. Divisional Commander Major Val Mylechreest spoke about how much more God has in store for each of us than we can ever imagine, based on Ephesians 3. 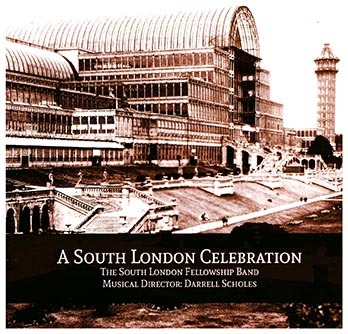 In addition to providing song accompaniments during the day, including a chorus arrangement arranged specially for the event, SLFB items during the sessions were ‘In the love of Jesus’, ‘All for thee’, ‘Songs of testimony’ and ‘All the world is waiting’ and preliminary music included ‘Hadleigh Camp’ & ‘ARC Centennial’ marches as well as ‘Lift up the banner’ & ‘Amazing Grace’. Pictured is Major Graham Kinsley(R) receiving his award for his work on the sound system and IT presentation.